The art of Mehandi has been existing in our society for centuries. It is extremely difficult to track out the exact place of its origin, because today this art is used by all most all people. 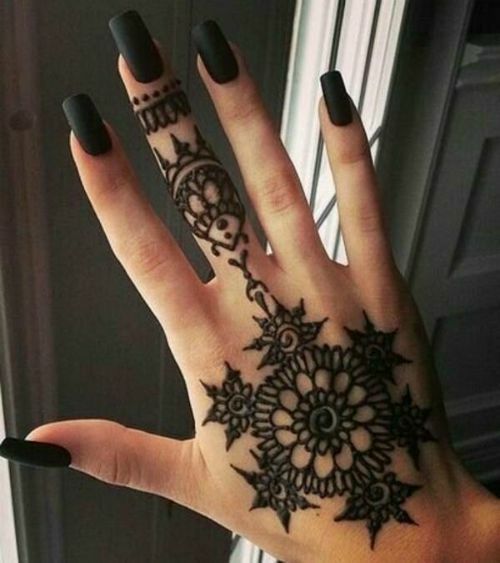 This art is nothing other than henna tattoos. Now the uses of this art are spreading in all over the world, so that its application procedure and designs became more gorgeous, more sophisticated and modern to suit the lifestyles, event and occasions. 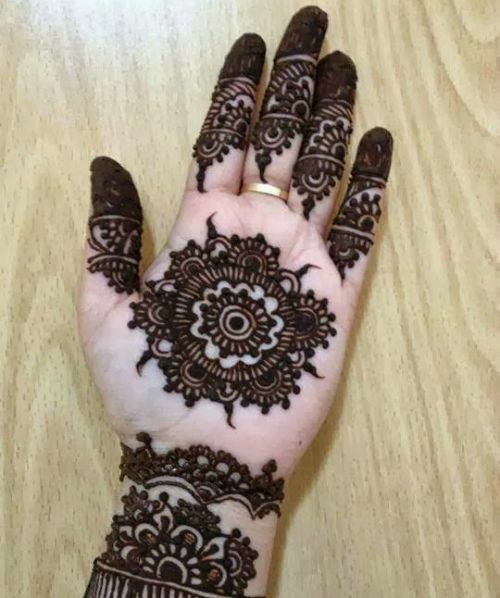 Black mehandi is one of the special mixture of henna and particular type of chemicals that can make it darker than normal reddish brown. 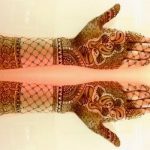 The function of mehandi and the wedding is very closely related. This function is taken place just before the wedding ceremony. In this function bride is adorned with the art of Mehandi. 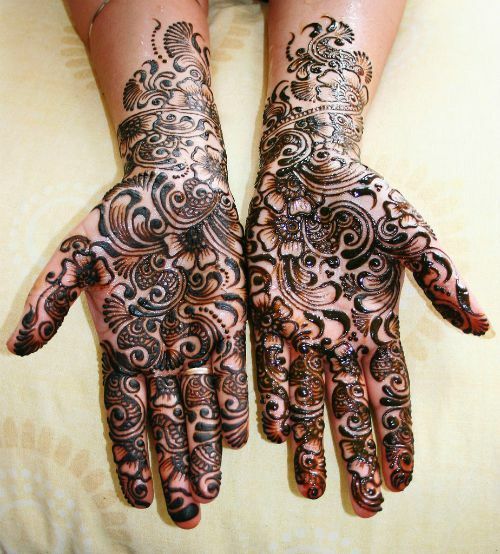 Elaborate Black Mehndi Designs are a typical Asian mahendi design which mainly used in Arabic countries. The specification of this design is, the entire length of your palm to elbow is covered with bangles, flowers and spirals design. This particular Mehndi design have various intricate detailing that makes it look gorgeous and elaborate. And the ends of your fingers are covered with dark color and the entire design is covered with a border which makes it more attractive. 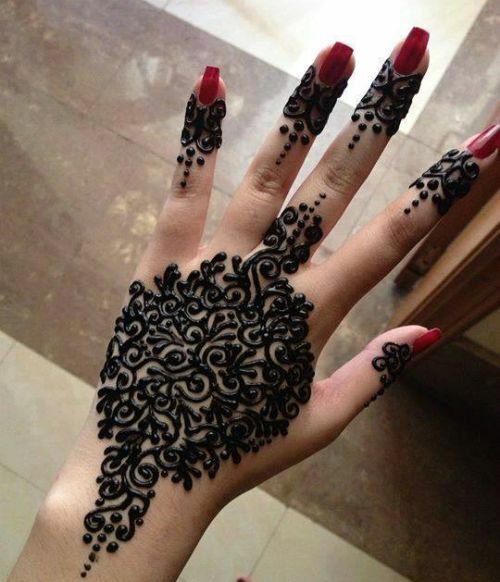 This is very simple and gorgeous Mehendi, use mainly for brides. It can be used in every occasion or event. This design can be used for both hand. The overall style can be more artistic with a modern touch. 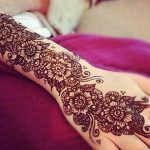 The use of black mehndi makes the floral designs more prominent, but it have to be done perfectly, so that it looks gorgeous and your hand looks more beautiful. 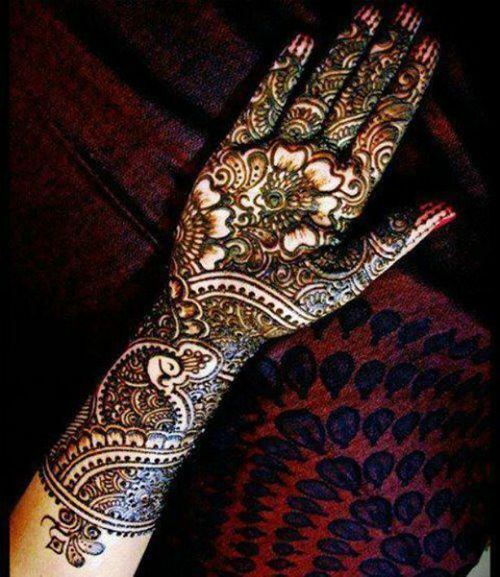 Gorgeous Mehendi design for the palm and wrist, which is created with small flowers, semi circular and creepers. You can use this design in any occasion. 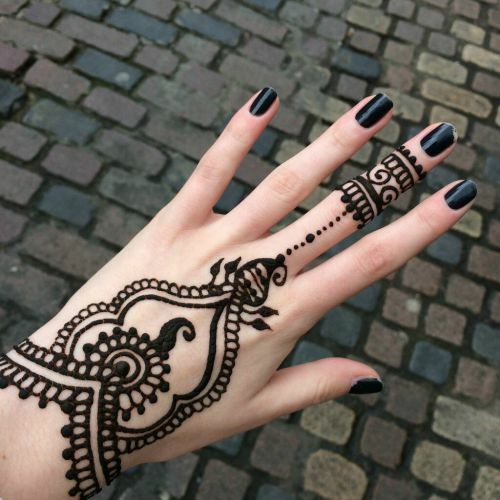 This is very simple but gorgeous design created by black Mehendi. You can cover your entire hand with the design. This design is created with semi circle, flower, dots, creepers etc. 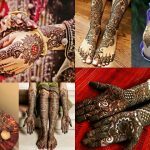 A gorgeous Black Mehndi design, which fills your entire hand and also finger, are the great choice for brides on their wedding day. 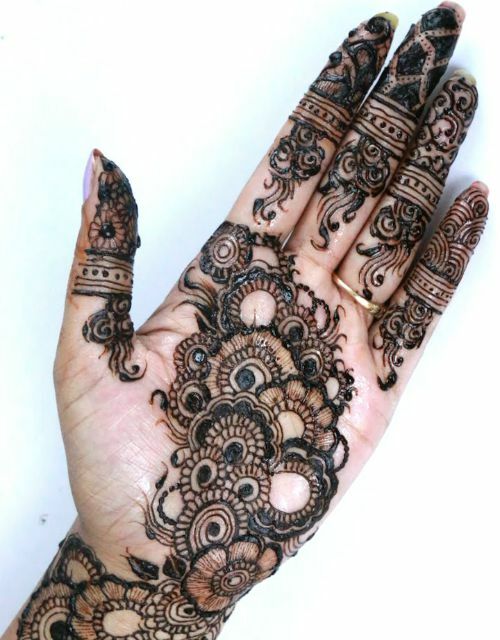 A variety of intricate can create some gorgeous patterns, the black Mehandi can create the beautiful prominent patters, lending a unique and gorgeous look. This gorgeous mehandi design is perfect for any event, occasion and festivals and also grand occasions. 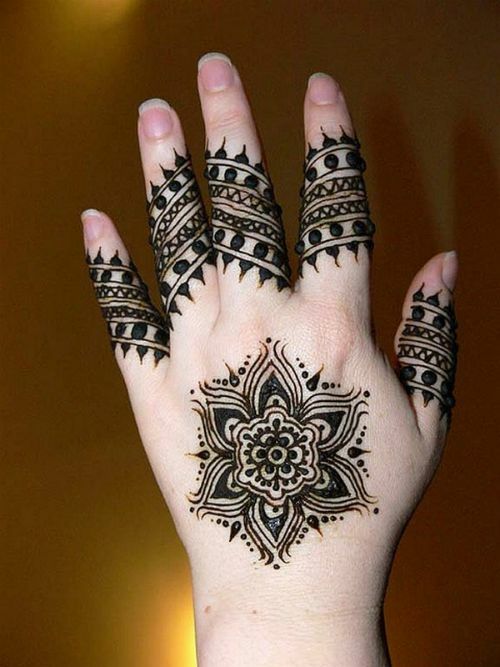 This is typical Arabic and middle east mehendi designs generally have floral design along with some other details. Moreover, you can provide the flowers more and attractive modern look. You can design abstract flowers with leaves which is running across from your palm to the elbow. 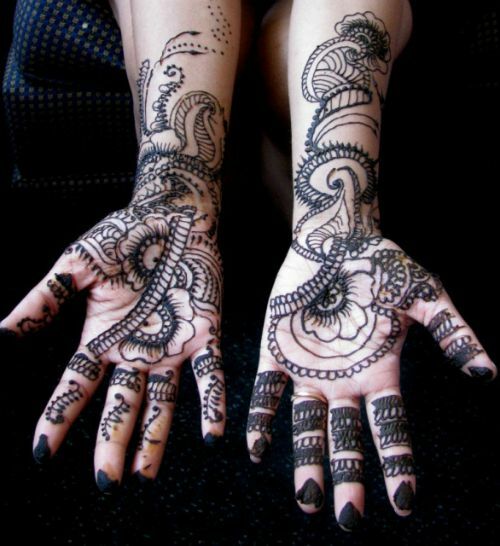 The black color Mehandi design stands out very perfectly against of your skin tone which makes it more prominent. 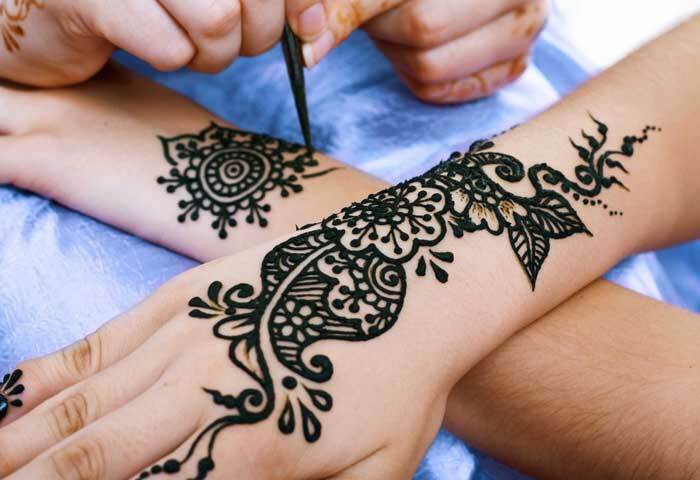 This henna tattoo is not only worn upon your palm and forearms, but also on your foot. A simple but gorgeous black flower running around your ankle look extremely pretty and gorgeous. 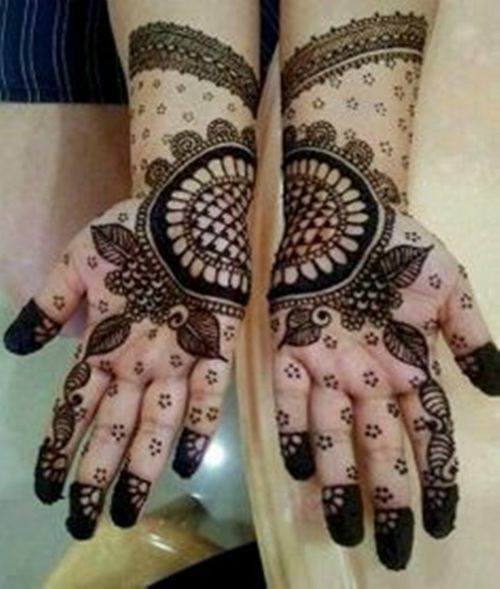 This particular mehndi is very popular in most of the Asian countries where mehndi very vital part of the culture. This Simple mehandi design doesn’t have much complicated design. There you can find few curves, flowers, lines on your fingers and in the middle of the palm looks extremely gorgeous as well as attractive too. These Designs generally take less time. 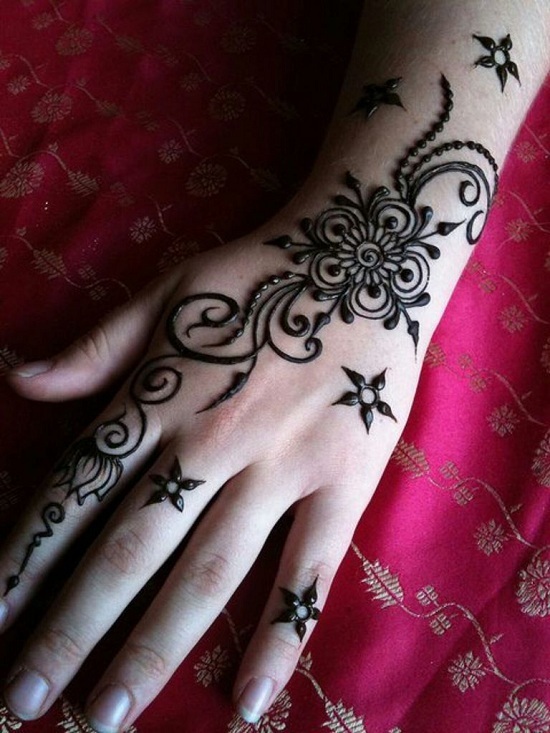 This is also a particular mehndi design where various types of animal faces are found. Peacocks are the most common animal found in this particular art of Mehandi. Those birds can be identified easily in this design and bird’s head separate them from the rest of the design. 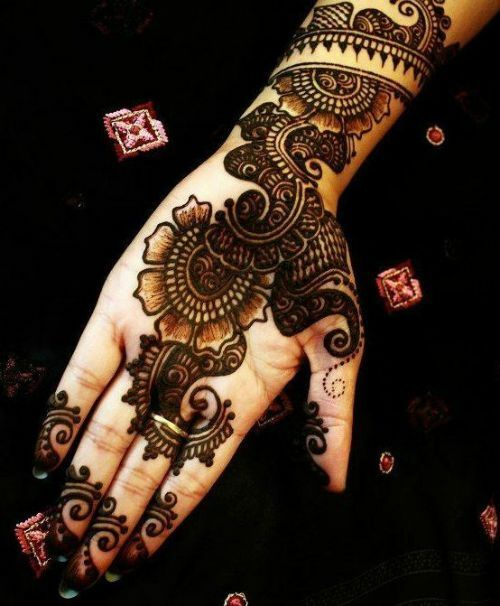 The oriental style floral patterns are the typical mehendi designs which have a traditional look. 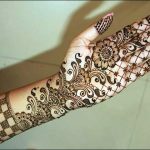 But some mehndi designs can be created with geometric shapes and patterns which can provide more smart look which generally have abstract and funky looking. These designs are mainly opted by todays young generation because it has a modern look. 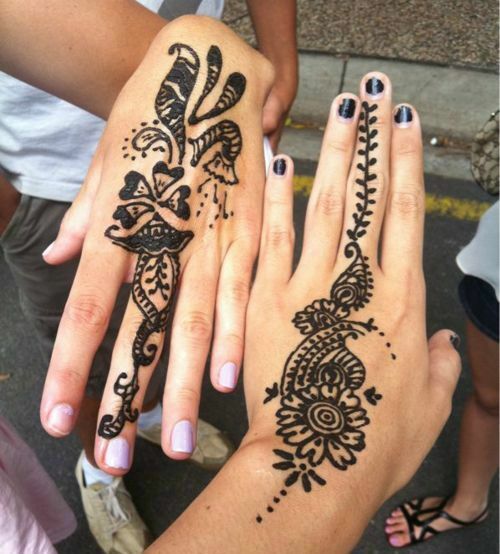 Black Mehendi is one of the preferred choices of various occasions and event. Sometime it is also used for casual wear. 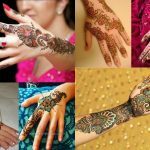 The design of black Mehndi looks different from the normal mehendi, it provides stronger color which stays for a long time than other mahendi and also give more prominent designs that provide very attractive effect. If it is used for outlining, the black mehendi designs perfectly as well as beautifully imbibe traditional with the modern design. 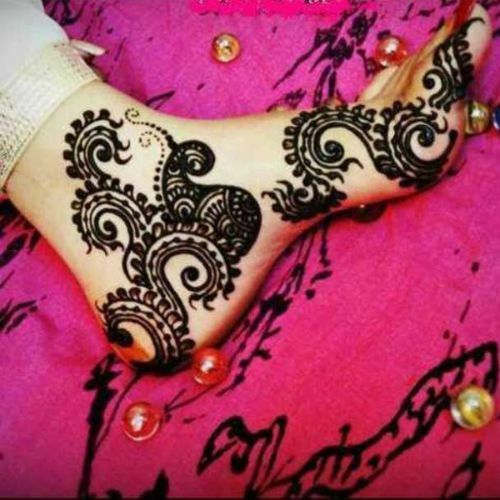 Black Mehendi Designs are preferred choices of various occasions and event.Black mehandi is one of the special mixture of henna and particular type of chemicals that can make it darker than normal reddish brown.